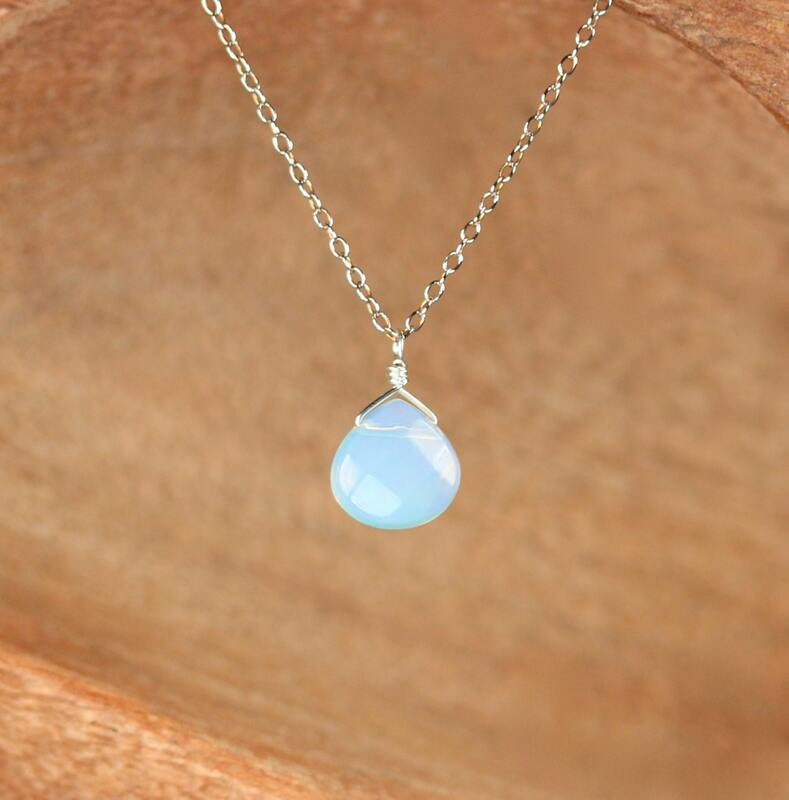 A dainty, faceted opalite hanging from a 16 inch 14k sterling silver chain. Please feel free to select a different length chain if you prefer! These beauties reflect in different angles of light. 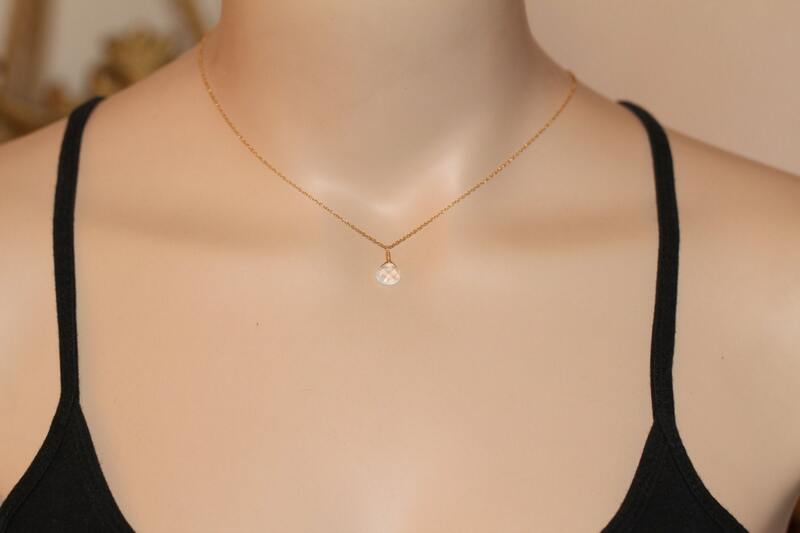 This beauty is also available on a 14k gold vermeil chain. 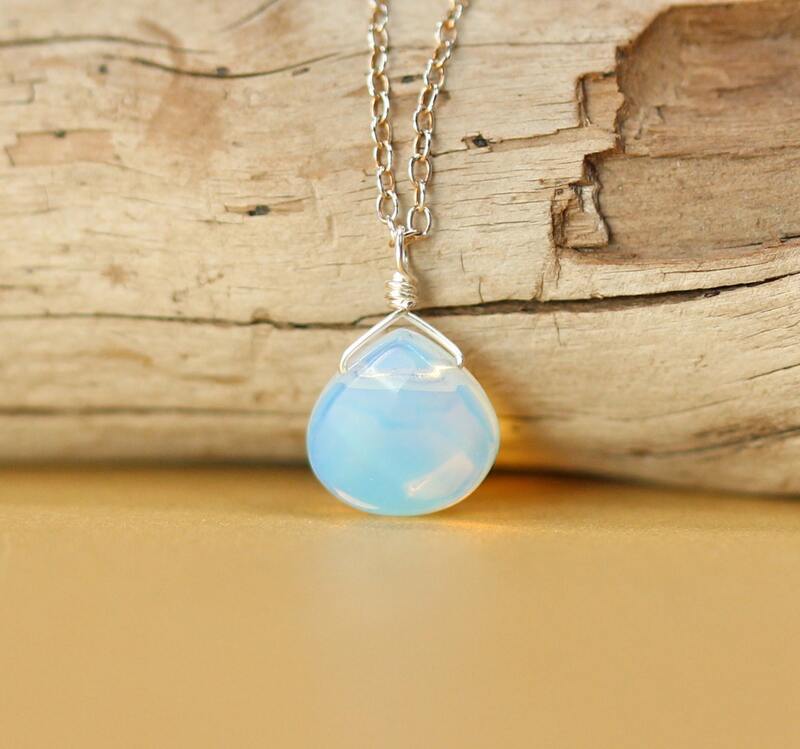 Need a few reasons to love a opalite other than for its beauty? Opalite is a man-made synthetic glass, mistakenly known by a number of different names, including - Tiffany Stone, Opalized Fluorite and Purple Opal. Typical colours - clear or milky, and iridescent. 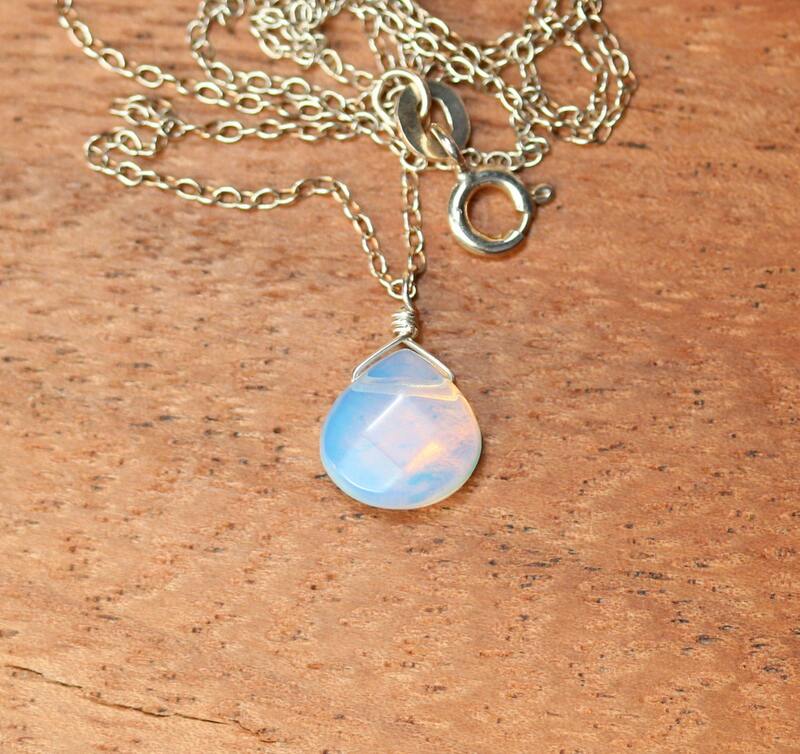 Opalite is subtle yet highly energetic. It is ideal for meditation. Opalite improves communication on all levels, especially the spiritual. It removes energy blockages of the chakras and meridians. Emotionally, Opalite helps by assisting during transitions of all kinds. It engenders persistence and gives us strength in verbalizing our hidden feelings. It can also help us to be successful in business. Opalite is for all-round healing. It aids sexual prowess, enhancing sexual experience. 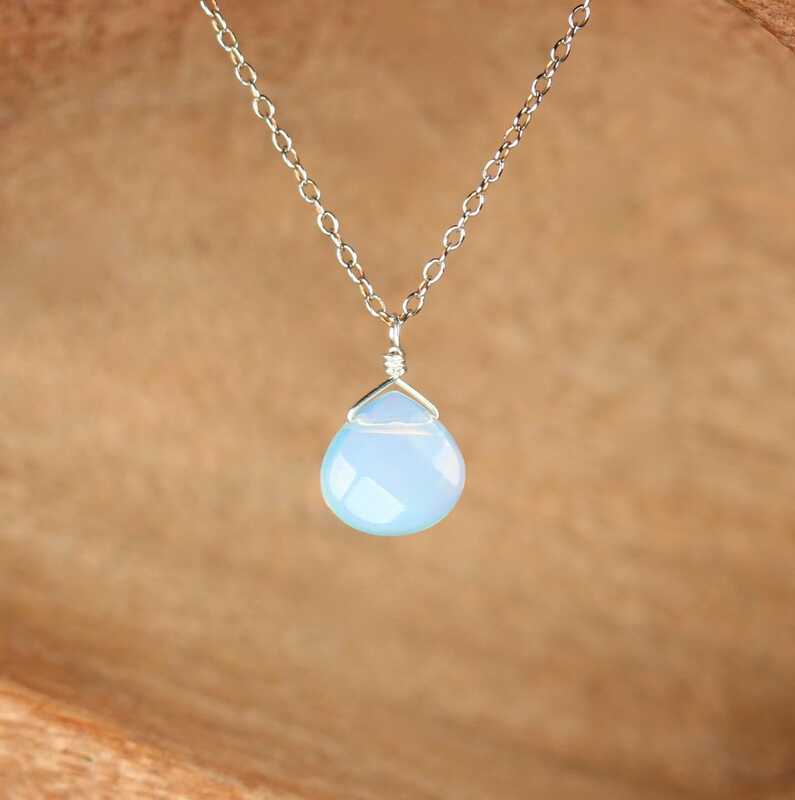 Opalite stabilizes mood swings and helps in overcoming fatigue. It purifies the blood and kidneys.